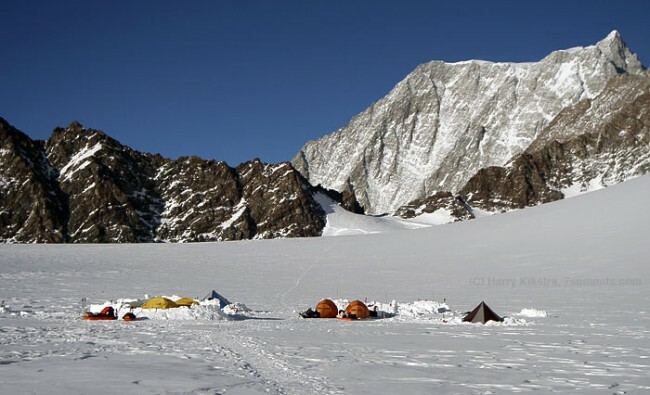 Description: Camp 1 during the 2005/2006 season. About 2800m The route can be seen in teh distance, going up around the right hand snowslope towards the headwall. Sign up for the new season now!